BACK TO EDEN. A PARADISE IN THE HEART OF THE ISLAND. Property 16: BACK TO EDEN. A PARADISE IN THE HEART OF THE ISLAND. NAMASTE, villa immersed in the same nature five minutes from Ibiza center. 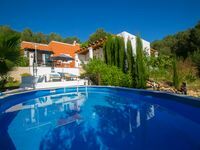 Property 17: NAMASTE, villa immersed in the same nature five minutes from Ibiza center. Property 21: Beautiful family home in the middle of nature, free Wifi, air conditioning,,. Property 24: Villa Paraiso, authentic finca of ibiza, just restored, infinity pool. Villa Sky, in quiet area, only 5 minutes from the main attractions, with 16 sleeps. Property 34: Villa Sky, in quiet area, only 5 minutes from the main attractions, with 16 sleeps.